The process for a Social Security disability claim can be confusing and intimidating, especially since it is so important for the future of you and your loved ones. You are undergoing difficult circumstances and it is natural to be nervous, angry, depressed or afraid. We can help. At our first meeting, your concerns will be heard. You will tell me everything that is happening to you and your Social Security disability claim. You can share whatever you think is relevant. You will tell me your medical conditions in detail. Your questions will be answered. At the first opportunity, we will go over your medical records together. At all times, you will receive our advice and guidance. Throughout this process, I will be there to deal with the government on your behalf, and I will evaluate your claim to see if it qualifies for an early decision. When it is time for the hearing, we will prepare thoroughly, together, so that you will be able to present your story in a clear and consistent manner. Since you will have shared everything with me during the process, I will be able to communicate to the Judge just who you really are. Together we will be able to help the Judge understand the reality of your situation. 1. The Initial Disability Application: Filing electronically is easiest but you can also do it in person at a local Social Security office or by mail. We can help you do this. 2. The First Denial: Most claims are denied at this level. Most claimants don’t have legal help at this stage; medical records may be incomplete, and necessary examinations may not have been done. You can appeal within 60 days. DON’T GIVE UP. WE WILL HELP YOU. 3. The Reconsideration Stage: Statistically close to 90 per cent will be denied at this stage. You can be successful if you supplement your earlier application with relevant evidence. But even if a Social Security disability claim is denied, it is important to consistently present your case for further review. Again, you have 60 days to appeal. If you don’t have a disability lawyer, consider contacting us immediately at 954-916-2667. Please keep in mind that there is no upfront cost to you, and you will be fully informed as to what costs you will incur if we win your case. 4. 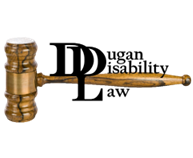 The Administrative Law Judge Stage: The Judge is an independent decision maker who takes a whole new look at your case. Judges want to be fair. You will have an opportunity to tell your story in person. You must present a coherent and concise explanation to the judge. Having a lawyer improves your chances. 5. The Appeals Council: If the Judge ruled against you, you still have a chance to get a new hearing. This is a written appeal only. About 25% of cases will be reversed or sent back for a hearing. 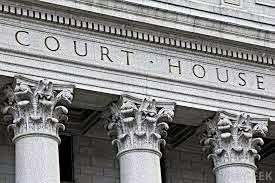 After a final decision from the Social Security Administration, unsuccessful claimants can go to Federal court, a situation most people wish to avoid. 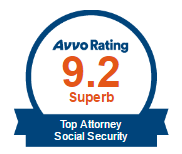 We advise that you get a disability lawyer early on in the process so that your Social Security disability claim can be resolved favorably at the earliest time possible. Rest assured, we will be with you every step of the way. Your questions will be answered, and your concerns heard. You will be advised of the reasons behind our advice and recommendations. We firmly believe that the client must be aware of all critical information in the process, and we will communicate openly with you. Together, we can make sure your Social Security disability case receives the consideration you are entitled to.The process of filing a Social Security disability claim can be long and confusing.